Highest precision, reliability and pronounced service orientation – this is what makes KONTRA unique. 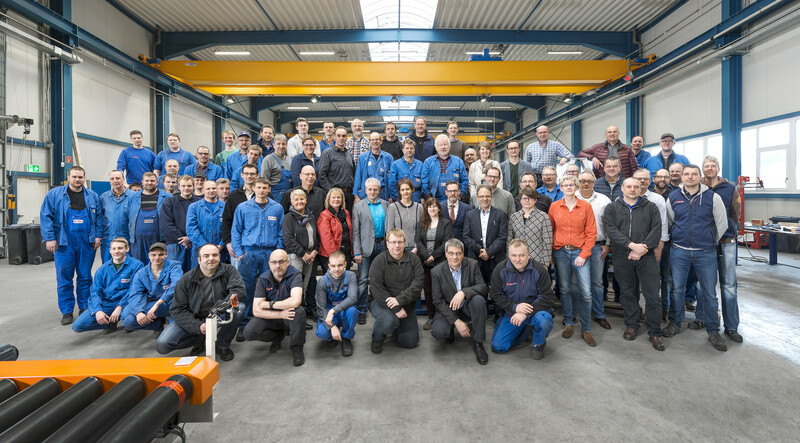 Our team of 80 qualified and motivated employees based at Rüthen are specialists for handling and saw systems in the panel-shaped material sector. Individual and customized complete solutions make us stand out around the globe. The KONTRA team will assist you with its expertise, the long-standing experience and a great deal of personal commitment. During each processing step and with every request. Our team, as your contact person, is always at your disposal. 1986 Foundation of KONTRA Anlagentechnik GmbH in Meschede by the managing directors Martin Wagner and Hans-Günther Samland as well as Hans Hohmann and the Treurat GmbH (Ltd.). 1988 Hans-Günther Samland passed away suddenly and unexpectedly, Martin Wagner is now sole managing director. 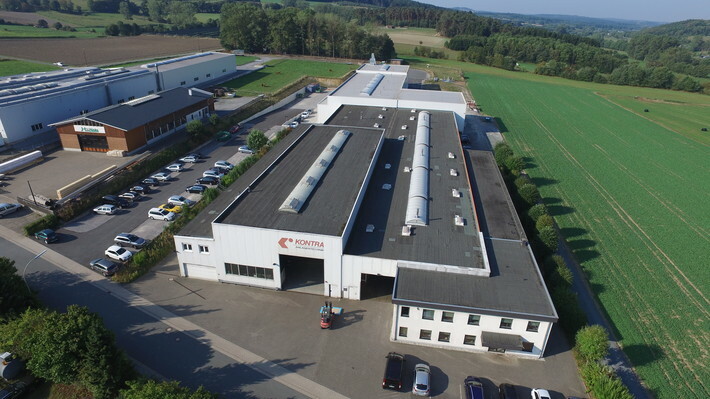 1989 Kontra moved into its own, new premises in Rüthen as the rented hall in Meschede had meanwhile become too small. 1994 The production hall was extended for the first time. 2000 Second extension building. This time the production area - which had once again become too small - and the office space were expanded. 2010 Martin Wagner retired from the Management. Jörg Wagner and Frank Otto were appointed as new managing directors. Based on our experience we manufacture complete lines and individual machines that are tailored precisely to your individual requirements. High-quality products for an increasingly demanding market are the result of innovation and constant further development. Well-founded precision work and the technical know-how ensure satisfaction, reliable running periods and a long service life. Being focused on the required application, we are in mutual dialog with you to find the optimum solution. In doing so, we put an emphasis on fast response times, short communication channels and fair advice. We are a recognized vocational training company and offer different vocational areas. Providing competent and professional support is extremely important to us. The DIN ISO certificate confirms our high quality standard. To keep this, we continuously strive to achieve the best possible results. Today our plant exists of a production area covering about 5,250 m² and an adjoining office building of about 900 m². For questions relating to public relations, please contact Mr. Jörg Wagner.